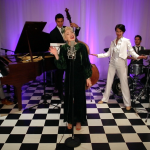 After doing well over 150 Postmodern Jukebox filmed on a single camera on a tripod, I wanted to experiment with something special for this song and truly turn this into a short film. 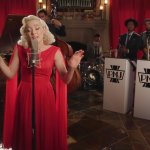 Kii and Guy are masters at creating a world, and they took this PMJ remake to a whole new level, while maintaining the “PMJ-ness” of what we do (all the audio was filmed live at the same time). 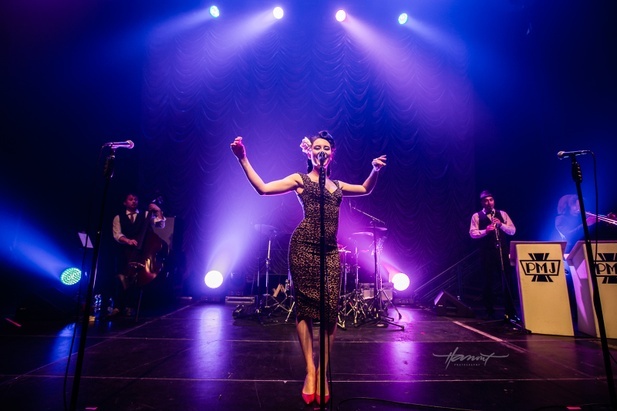 Addie gave her most impressive performance yet, showing the various colors of her voice and truly telling a story, and the horn section of Jacob, Ludo, and Lemar provide the perfect backdrop for her classic sensibilities. Special thanks to Addie’s parents for letting us use their beautiful living room as a filming location. We’re excited to bring hundreds of cities back in time into the PMJ universe this year and next, and are actively working to add new cities. Sign up for our newsletter for show announcements and pre-sale tickets, as well as to learn about flash sales on our online shop.